Get your car ready for the cooler months ahead. October is Fall Car Care Month. Why not take a little time to tend to your vehicle and make sure that it is ready for the harsh weather conditions ahead? The cooler temperatures and adverse weather can wreak havoc on any vehicle that isn’t properly prepared. To avoid being stranded out in the cold and to prevent unexpected emergency repairs, tend to your vehicle with these tips. Make sure all of your lights are working. Check the headlights, brake lights, and signals. 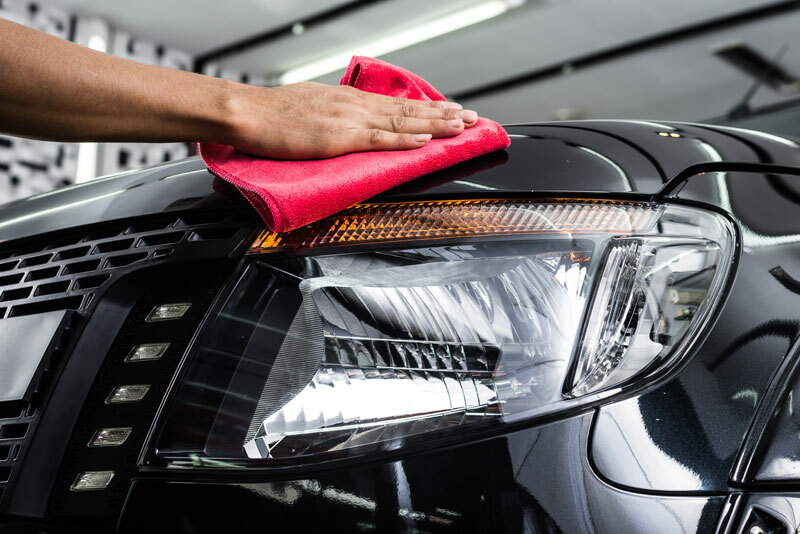 If the lights are starting to look hazy, clean the exterior of the car, making sure to wipe the lights thoroughly. This should ensure your lights are bright and focused. Make sure that your headlights are properly aimed. This helps when you’re making turns during the dark. Check the tire tread depth and tire pressure of all tires. Cold weather can cause the pressure to dip, so get into the habit of topping up your tires every other week. If your tire tread is wearing out, consider getting a new set before the slippery road conditions arrive. Have the brakes checked, especially if they have not been replaced recently. Make sure that you always have at least half a tank of gas throughout the cold weather. This helps to prevent moisture from forming in gas lines and possibly freezing. Get an oil change so your engine can run well during winter. Dirty oil can hinder a car’s performance, especially during fall and winter. Check the fuel, air, and transmission filters. Ensure the ice scraper is easily accessible. Stock an emergency kit with jumper cables, a flashlight, extra batteries, blankets, extra clothes, bottled water, and a first aid kit with any required medication. Before the cooler weather arrives, take the time to perform these maintenance tasks! While you’re at it, contact your trusted insurer at Lloyd S. Berkett Insurance Agency. We can help you find reliable auto insurance coverage so that you have peace of mind you and your vehicle are protected throughout fall, winter, and beyond!